SimplePowerIT was born in 2012 on the premise that most organizations have one shared and basic technology need: computers and software should “just work” so users can stay focused on their goals without frustrating technology glitches. On the occasion there are issues, getting up and running again shouldn’t involve long telephone hold times, talking with technicians who aren’t empathetic, or don’t understand and speak in jargon. When you work with us, SimplePowerIT has one overarching ambition – to earn your trust and confidence. We want our relationship to expand beyond your basic technology needs – we want to understand your business, be your technology advisor, and ensure that everything does work each and every day. If that sounds like the kind of technology support your business or organization is seeking, we’d welcome a conversation. Contact us any time and let’s talk! Martin has nearly 20 years of experience reviewing and implementing technology solutions. In 2001, Martin migrated from a corporate career and fast-paced Puget Sound environment to a much more satisfying personal and professional lifestyle in North Central Washington. 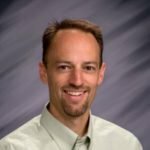 For the first 12 years in Wenatchee he served as the Technology Director for the local CPA firm, Cordell, Neher & Co., PLLC. Although primarily focused on the firm’s internal computing and software, he thoroughly enjoyed solving client technology needs. As a result, in 2013 he opted to leave the firm and founded SimplePowerIT to focus exclusively on delivering frustration-free technology solutions to NCW businesses and nonprofits. Josiah was raised in the small town of Oak Harbor, Washington. He joined the Air Force shortly after college and decided to leave in 2017 to serve in the civilian world. Josiah in total served 4 years active duty and is currently serving as a United States Air Force Reservist as a Client Systems Technician. He has over 4 years IT experience in IT helpdesk and cybersecurity and is CompTIA Security+ certified. He hopes to bring his passion for customer support and technology to the Wenatchee Valley.